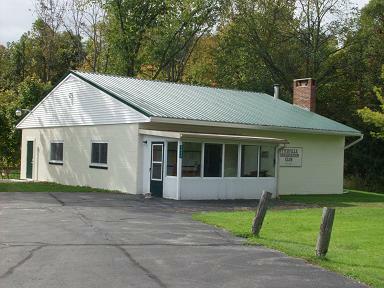 The Fitchville Conservation League was founded in 1946 by a local group of farmers and sportsmen. Feel free to view the list of our first members. Recognize anyone? Also available are the minutes of the first meeting, February 20, 1946. Today, we are the area’s leader in Hunter Education Courses with nine Certified Instructors conducting at least five courses each year. We are a proud sponsor of the National Archery in the Schools Program at New London High School. We are a Co-Sponsor of the New London Rotary Fishing Derby. We have free clinics each year that introduce Shotgunning and the Shooting Sports to new shooters. 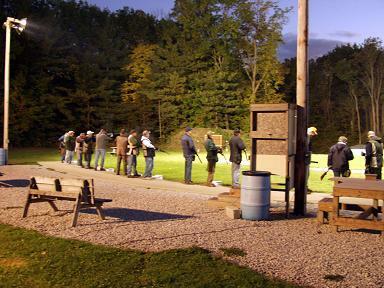 For the adventurous, well seasoned shooters we host a Protection Shoot each and every Wednesday at 7:00 P.M. We offer several Hunter Education Courses throughout the year. The Hunter Education courses are very popular so make sure you sign up early. We also offer an Introduction to Handguns to introduce handguns to those wishing a beginning program. Concealed Carry courses are offered as demand indicates. Sunday Practice shoots offer a regular way to have fun and practice at the same time. Check the Calendar for specific dates! 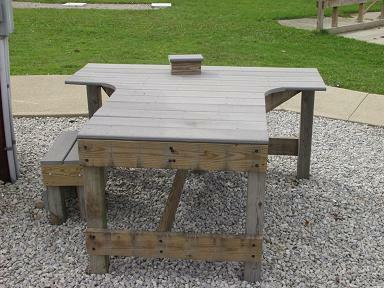 We have an outdoor pistol range which is to be open to the public at various times thoughout the year. Check our calendar for dates and times! Several of our members are Certified NRA Pistol Instructors who will be av ailable to you at our open pistol range sessions. We plan to hold several Concealed Carry Weapon (CCW) courses thoughout the year. Check the Calendar for future dates program availability! We have online registration at this website. Check the calendar for a Vintagers Shoot where older era side by side shotguns will be utilized. We are excited to work with the Vintagers to host this shoot. Our Club holds quarterly meetings at 7:00 P.M. on the second Tuesday of each period. Pot luck dinners will begin each meeting. See the calendar for specific dates. New members are always welcome. We are proud that our club includes female members, and we are honored to stand alongside them in our League. Make yourself known at one of our events and let us know you would like to become a member. Membership requirements are on the membership page of this website. If you have any questions, feel free to stop out during one of our activities. We would be happy to visit with you. my name is Thomas and I’m with McAlister lead shot company. We make the highest quality magnum lead shot for the most affordable prices. We produce our shot in the great state of Iowa. The sizes are 6, 7, 7 ½ , 8, 8 ½, 9. We have 25lb. buckets or bags, it’s your choice they both cost the same. If you have any questions please don’t hesitate to call me Thomas, the number is 563-732-2304, or Email thomas@mcalistershot.com. I’m here Monday thru Friday from 8am to 4:30pm.